NSAIDs have shown to be effective in treating pain for many. However, while they can be good for short-term pain management, they do nothing to actually ease your arthritis pain or rehabilitate damaged cartilage. In addition, users must be careful of the side effects that can result from prolonged use. Cox-II inhibitors like Vioxx and Celebrex have also proven to be effective for some users. Once again, as with NSAIDs, these medications can cause some serious side effects, are unable to rehabilitate damaged cartilage or stop the progression of arthritis, and do not work for everyone. 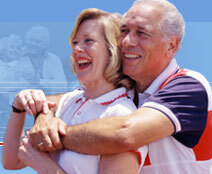 Glucosamine is a promising supplement that has helped many arthritis sufferers. Much publicity has been focused on glucosamine recently because it is able to not only ease arthritis pain, but also aid in the rehabilitation of cartilage and slow the progression of arthritis. Even better, it does not have any of the dangerous side effects of NSAIDs and Cox-II inhibitors. In capsule and pill form, glucosamine has been shown to be effective in about 40% of users after 6 weeks of use. Glucosamine in liquid form, on the other hand, has been shown to be effective in 90% of users with osteoarthritis, mainly due to the greatly increased absorption. However, there are always going to be a few stubborn cases where pain simply does not seem to go away. Often, the process has begun but a you will still feel that the pain is not adequately being addressed. The result is that you become frustrated and in many cases, simply discontinue the very treatment is beginning to solve the problem. Is the Glucosamine failing you or are there other factors at work? I am sure you know that pain is a complex issue. Everyone has a different tolerance to it and each case of arthritis is slightly different. So how do you help yourself when you have "tried everything on the market" but do not seem to feel that the pain is being reduced? Well first, know that in some severe cases of arthritis, even effective approaches like glucosamine are only able to slow the deterioration of cartilage and progression of your disease.While you may not immediately see improvement, you are in fact, making progress. The clinical studies tell us that unfortunately, after a couple months without improvement, many simply give up on a treatment only to make their arthritis even worse. Clinical Findings on glucosamine are such that even if you do not notice an improvement after 6 weeks of usage, it is highly recommended to continue to take it to ensure your cartilage does not deteriorate further and your pain does not become worse. In addition to physical differences in individual cases, there are psychological factors at play here as well. Do you have a lot of stress in your life? Are you prone to depression? If the answer is "yes" to either or both of these questions, it is clear that the pain issue tend to be more persistent. So, what can you do about that? There are so many things in everyday life that can cause stress that one hardly knows where to begin. A simple head cold can cause stress. A drive to local store when traffic is heavy can load unexpected stress onto you. It is a seemingly endless cycle and one that challenges everyone. Here are some simple techniques that you can use to try to control your stress and anxiety. Sit in your favorite chair and take some deep, slow breaths for several minutes. Do this several times a day if you need to. You will be amazed at how this simple step affects the way your pain is impacting you. Are you on the job and feel that you are too busy to do this? That's no excuse. Take a few minutes, lean against an available wall and use the same technique of slow, deep breaths. It doesn't take long to feel yourself relaxing, taking some pressure off, and reducing your pain. If you're experiencing an increase in pain, apply a hot compress to the affected areas. This will help to relax the muscles that become more painful around affected joints. (Tension = pain) That also stimulates blood circulation that helps to heal the irritated tissue. Pay attention to symptoms, see your doctor and get an accurate diagnosis. Without an accurate diagnosis, it will be difficult to effectively treat your arthritis. Don't stay still. Moderate exercise can be very helpful for arthritis sufferers. Exercise helps to reduce pain, increase range of movement, and reduce fatigue. Do range-of-motion and strengthening exercises. Also, staying close to your recommended weight also helps relieve damaging pressure on hips and knees. Take the right steps. If you are a smoker, here's a great reason to quit: tobacco usually makes arthritis pain worse. Also, watch what you eat. Determine if any of the following foods cause your arthritis to worsen: sugar, caffeine, citrus, salt, red meat, dairy products, additives, soft drinks and flour. If after eating any of these your pain becomes worse within 24 hours, you may have isolated a food that aggravates your arthritis. Protect your joints. Taking a high quality glucosamine product in liquid form such as Syn-flex� will be able to assist in the rebuilding any damaged cartilage, reduce inflammation, stop much of your pain, increase your mobility, and slow the progression of your osteoarthritis. Glucosamine is one of the biggest advances in fighting arthritis in many years, so take advantage of it. Also be sure to take helpful ingredients such as chondroitin, boswellin, yucca, bromelain, fish oils omega 3 and omega 6, manganese, and vitamins A, C, and E. More information on Syn-flex. Treat your muscles. Find a massage therapist and treat yourself to a good massage. While the benefits vary they include decreased pain, increased circulation, more energy, and greater flexibility.